Announcing the shortlist and overall winner for the Murakami Art Competition. 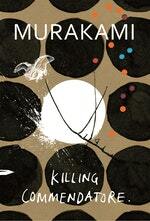 To celebrate the release of Killing Commendatore, the new novel from Haruki Murakami, we gave you the chance to win $1,000 and a feature in Underline magazine. Killing Commendatore is a profound engagement with art and its creation. With this in mind, we invited fans of Murakami to create a piece of static visual artwork inspired by the works of this internationally bestselling author. Entries could address a theme, a motif, a title or whatever else inspires, so long as the entry represented the work of Murakami. “There are things in this world it is better not to know about. Of course, those are the very things that people want to know about. It’s strange.” - Haruki Murakami, The Wind-Up Bird Chronicle ❤️💙🖤 Fiction has a lot to teach us, and it’s what I read to try to understand the world. 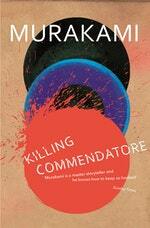 Bird Chronicle and Norwegian Wood are my favourite Murakami novels, and I’m looking forward to Killing Commendatore. I’ve used a lot of spots and circles for my picture because they’re often on the covers of the recent editions, and cats abound in the stories. Like a favourite piece of music, these books are good to visit every now and then. . .
“That’s what the world is, after all: an endless battle of contrasting memories.” - Haruki Murakami. We both have always been completely swept away by the work of Murakami since we were young. This piece is inspired by his writing...just starting to read his new novel! This hand-lettered quote is from Haruki Murakami’s book Kafka on The Shore and the artwork is inspired from the same book. The winner – chosen by Suzanne Dean, Creative Director at Vintage Books, Penguin Random House UK, and designer of the Killing Commendatore cover – will be announced 14 November 2018.